A new Scare Mester is starting at Monster High - and that means new lessons to learn, new looks to die - or undie - for and new beast friends haunting the halls! Invisi Billy, son of the Invisible Man, is outfitted in his fashionably fierce core school outfit. With an iconic look in shades of blue and black, he’s ready to show himself in a striped hoodie and long shorts with a monsterrific print. A white belt and white and black shoes are easy to see. Killer accessories include a messenger bag for school, to-die-for silvery jewelry and a blue beanie. With his signature streaked hair, he looks scary cool for the first day of school! 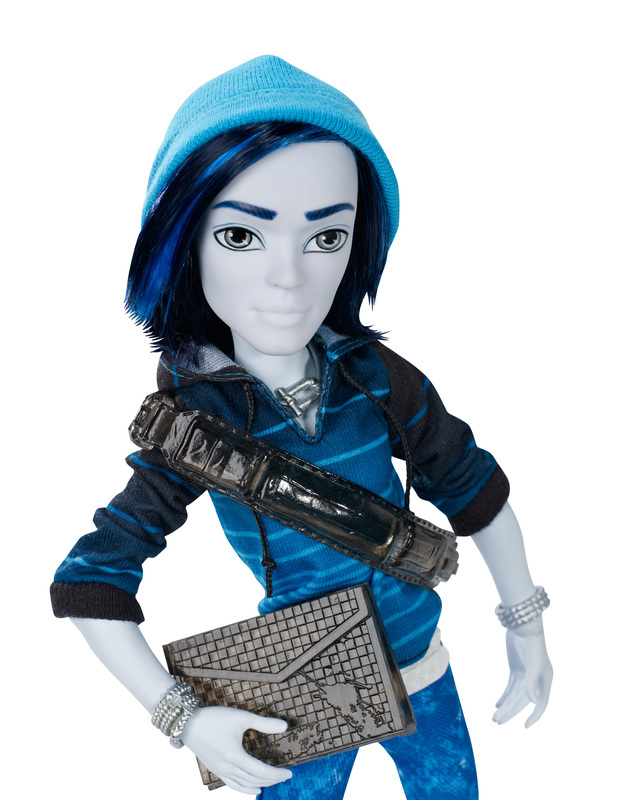 Invisi Billy doll also comes with a matching folder, signature-style brush, doll stand and character-specific diary. 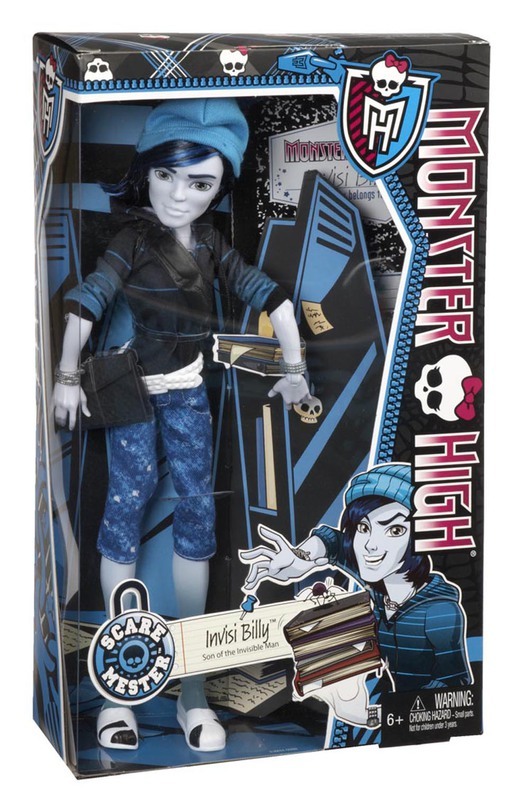 Collect the rest of the Monster High student body (each sold separately) for a full monster roster! Doll cannot stand alone. Ages 6 and older. He looks fashionably fierce in a striped hoodie and long shorts with a monsterrific print. A white belt and white and black shoes are easy to see. Killer accessories include a messenger bag for school, to-die-for silvery jewelry and a blue beanie. 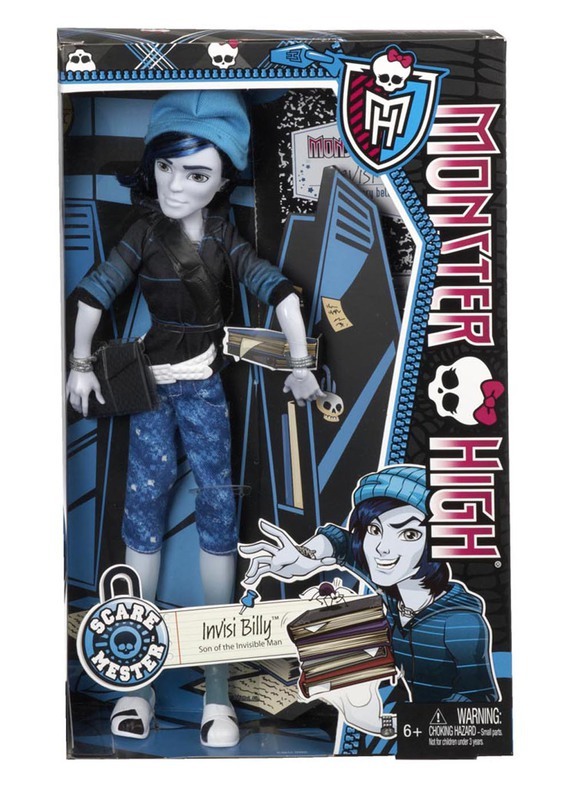 Invisi Billy doll also comes with a matching folder, signature-style brush, doll stand and character-specific diary.